Offers quick, easy-to-grasp tips for fostering a positive sense of self. This little book distills the best techniques from the author's successful Self-Esteem Workbook. This book also incorporates techniques that make use of mindfulness practice. With a little patience and practice, readers will discover what wonderful, valuable people they really are. A handbook for the happy, and a bible for the broken-hearted, this book is an enchanting and enriching journey through the upside and the downside of what it means to be human - our hope and our fears, our strengths and our weaknesses, our highs and our lows. Look out � the Self-Esteem Thief is on the prowl! He's the crafty character who keeps stealing your positive self-esteem from your Self-Esteem Vault, leaving only negative thoughts and feelings about you behind. But the good news is you can banish him for good and this workbook will show you how! Packed with activities and real-life stories, this imaginative workbook will show you what self-esteem is, how it develops, the impact it can have and how all this applies to your own self-esteem. Using cognitive behavioural and mindfulness principles and techniques, this workbook will help you change how you think and act in order to build positive self-esteem, protect your Self-Esteem Vault and banish your Self-Esteem Thief for good! Fun, easy to read and full of tips and strategies, this is an excellent workbook for young people aged 10+ to work through on their own or with the help of a parent or practitioner. Many kids struggle with low confidence. The good news is, Being Me can help kids tackle everyday challenges and build confidence and self-esteem. This handy guide gives kids the tools they need to explore their strengths, feel successful, and be confident in school, with friends, and importantly, with themselves. In this book you'll find practical exercises and tips that address the most common factors that can lead to negative body image, including: comparison, negative self-talk, unrealistic media images, societal and family pressures, perfectionism, toxic friendships, and a fear of disappointing others. You'll also learn powerful coping strategies to deal with the daily, intense pressures of being a teenage girl. A hands-on, straight-talking guide for helping girls deal with the challenges of growing up. Includes information on family relationships, friendships, peer pressure, body image, money management, sexual harassment and more. This revised, 2nd edition has also been updated to include new helpful tips on dealing cyber-bullying, online privacy, and other issues girls face in the electronic world. Assertiveness is the ability to stand up for yourself and your rights in a healthy and appropriate manner without infringing on the rights of others. This is the healthy middle ground between passiveness-letting others walk all over you-and aggression-forcing your desires on others without any regard for their rights. The easy and effective assertiveness-building games, worksheets, and activities in this book help kids recognize their self-worth, strengths, and right to stand up for themselves when others bully them or try to take advantage of them. When kids feel good about themselves, it is much easier for them to have the strength and courage to act assertively. 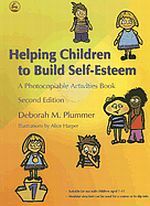 For this reason, many of the activities in this workbook help children build self-esteem and learn to believe in themselves. Self-assured, assertive children are less likely to be picked on by their peers and less likely to resort to bullying others to build confidence. Using this workbook is an easy and effective way to teach passive and aggressive children to respect themselves and others-a skill that will prove useful in childhood, in their teenage years, and throughout their lives. This book is for anyone who is at a transitional point in their life. Boy Raindrop is afraid to let go of his cloud and drop to the ground. He doesn't want to take a risk, he doesn't like change, and he is happy with his comfortable life. His father encourages him to jump out of his comfort zone and see what he is missing. This book provides all who read it with a positive perspective on change, taking risks, and giving back. "Just make a mark and see where it takes you." Vashti says she can't draw. Her teacher things she can. She knows that there's a creative spirit in everyone, and where there's a dot, there's a way. A simple, witty story that entices even the stubbornly uncreative to make a mark and follow it on a journey of surprise and self-discovery. Raising self-esteem in pupils can lead to the achievement of higher academic results and fewer behavioral problems. Outlining in simple terms what self-esteem is and providing strategies to support it in the classroom, Denis Lawrence offers clear explanations of the terminology and theory behind self-esteem, and many practical examples and useful activities to use with children. Fully updated and including new case study material and activities, this resource also discusses the main issues surrounding the self-esteem of practitioners. It sets out tried-and-tested strategies that teachers can use to recognize and reduce stress and maintain their self-esteem. If a blemish or "bad hair" can ruin your day and you are ashamed of your body, this compassionate book offers a program, based on cognitive behaviour therapy, that helps you fight the urge to spend hours "fixing" yourself. Once you understand the negative thoughts and feelings that distort your self-image, you'll be able to overcoming the embarrassment that keeps you from enjoying your life. Explores how a young person's self is constructed, and what might really help that self to feel more valued and confident. Through accounts of his individual and group work with young people, demonstrates how listening to, engaging with and being respectful of young people can provide the support they need to help them repair their sense of self and offer them new possibilities and directions in life. This is a version of Have You Filled a Bucket Today? for younger children. The concept of bucket filling is an effective metaphor for encouraging kind and considerate behavior as well as teaching the benefits of positive relationships to children. Perfect for preschoolers to understand that when children have their buckets filled and learn how they can fill other people's buckets too, they understand how special, valuable, and capable they are. Gerald was a tall giraffe. Every year he dreaded the great Jungle Dance. But what Gerald discovers is that when we're different sometimes all we need is a different song to dance to. Illustrated by Guy Parker-Rees. Through sweet, simple prose and vivid illustrations, this heart-warming book encourages positive behavior as children see how easy and rewarding it is to express kindness, appreciation, and love on a daily basis. Publisher Marketing: Through sweet, simple prose and vivid illustrations, this heart-warming book encourages positive behavior as children see how easy and rewarding it is to express kindness, appreciation, and love on a daily basis. Packed with activities and helpful advice, this resource is designed for professionals working to help adolescents and adults break the destructive cycle of low self-esteem. This fully updated new edition of is filled with practical ideas for building healthy self-esteem. Easy-to-use photocopiable activity sheets encourage participants to use existing skills and develop new techniques to nurture confidence and feelings of self-worth. These are complemented by relaxation and breath control exercises, and expanded theoretical chapters that explains what healthy self-esteem is, why people may have low self-esteem and the consequences that can result from it. 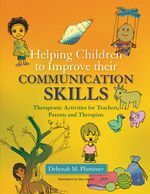 Suitable for work with individuals and groups in a wide range of educational and therapeutic settings, this resource will prove indispensable to teachers, speech and language therapists, professionals working in adult education centres, counsellors at schools and universities, social workers and other individuals working with young people. Through the story of a little boy named Felix, this charming book explains to children how being kind not only helps others, it helps them, too. As he goes about his day, Felix interacts with different people -- his sister Anna, his grandfather, other family and friends. Some people are happy, but others are grumpy or sad. Using the metaphor of a bucket and dipper, Felix' grandfather explains why the happy people make Felix feel good, while the others leave him feeling bad -- and how Felix himself is affecting others, whether he means to or not. Sometimes, it can be really hard to feel good about yourself and your abilities. As a teen, new relationships and experiences are happening all around you, and can make you feel overwhelmed and stressed. Being confident and secure can seems miles away. How to Feel Good is here to help you slow down and pay attention to your emotions and feelings. This book provides interactive exercises and questions to help you recognize and understand why you feel the way you do and to change hurtful thought patterns and habits. With these 20 simple, feel-good steps you can use this book to learn how to feel confident and happy with yourself--so that feeling good can be just a simple step away! With all the pressures of school, friends, and dating, you�re especially vulnerable to low self-esteem in your teen years. But often, the biggest threat to your confidence is your own inner critic�whose unrelenting negativity can result in feelings of inadequacy, depression, and anxiety. This must-have guide offers real ways to help you fight back, be kind to yourself, and move forward with confidence. Inside, you�ll learn the importance of self-forgiveness, accepting your faults, and how to focus on the things that make you awesome! You�ll also learn strategies for defeating the dreaded ICK�the inner critic know-it-all who keeps knocking you down�and how to escape the common thought traps that hold you back from feeling good about yourself. This book unlocks the mystery of the most important relationship you will ever have�the one with yourself! So, get ready to find your true inner voice. A kinder, gentler one that will support you as you reach for your goals and create the fabulous life you were meant to live! The story of a little bunny that stops doing what he loves the most because his friends were making fun of him. He wanted to belong, to fit in so desperately that he tried unsuccessfully all kinds of activities. One day, with a little help from his grandfather, the bunny decides to be true to himself. This second book in the "learn how to listen series" is a great tool for helping children 4-8 work with self esteem and acceptance issues. 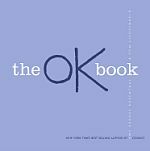 In this clever and literal play on words, OK is turned on its side, upside down, and right side up to show that being OK can really be quite great, encouraging children to discover their own individual strengths and personalities. Offers parents, teachers, and coaches a well-validated program to prevent depression in children. In a thirty-year study, Seligman and his colleagues discovered the link between pessimism - dwelling on the most catastrophic cause of any setback - and depression. Seligman shows adults how to teach children the skills of optimism that can help them combat depression, achieve more on the playing field and at school, and improve their physical health. As Seligman states in his new afterword for this edition, "Teaching children optimism is more, I realized, than just correcting pessimism . . . It is the creation of a positive strength, a sunny but solid future-mindedness that can be deployed throughout life - not only to fight depression and to come back from failure, but also to be the foundation of success and vitality." An insightful look at the power of self-determination, written in a comic-book style that is sure to please young readers. In their adventure, Willie and the gang come across characters who possess the power of self-determination and characters who don't. The consequences for both are easy to see and leave a lasting impression on Willie and his friends. This book is a practical and inspirational handbook for students aged 11 plus and parents of younger children. It will inspire you. It will give you confidence. It will help you set achievable goals. Increase your self-esteem and self-confidence, Enhance your relationship with family and friends, Develop a more positive attitude, Improve your study and communication skills, Organise your time more effectively, Fulfil your dreams and ambitions, Become self-motivated, Succeed in exams and tests, Prepare for interviews. Now in its third edition this is a proven program of cognitive techniques for assessing, improving, and maintaining your self-esteem. talk back to the self-critical voice inside you - set and achieve goals that will enrich your life - foster compassion for yourself and others - handle mistakes and respond to ciriticism - ask for what you want use hypnosis and visualization for self-acceptance - and raise children with high self-esteem. Presenting more than 60 simple exercises to overcome a punishing inner critic, this resource includes tips for taking a realistic and empowering inventory of one's abilities, and for finding bold, new ways to celebrate strengths. 300 fun activities that make children feel good about themselves. Self-esteem games show children how wonderful it can be to be themselves - emotionally, socially, physically, and intellectually. By sharing the upbeat, thoughtful activies in this book you can reinforce children's positive feelings and provide a lasting foundation for learning. Offers a wealth of familiar and easy-to-learn games carefully chosen to build and maintain self-esteem in children aged 5-11. The selection of games reflects the seven key elements of healthy self-esteem - self-knowledge, self and others, self-acceptance, self-reliance, self-expression, self-confidence and self-awareness - and includes opportunities for thinking and discussion. The book combines physically active and passive games, verbal and non-verbal games and games for pairs or groups, which makes them equally accessible for children with speech/language difficulties or those with physical disabilities. Deborah Plummer shows that the games can be easily adapted and she encourages readers to be creative in inventing their own alternative versions. This is an ideal resource for teachers, parents, carers and all those working to nurture self-esteem in children. A simple, effetive program for mastery of likeing yourself, conquering self-doubt, seeing your ore worth, rational thinking, body appreciation, affirming thoughts, enlarging possibilities, forgiving yourself, liking the face in the mirror. Learn to develop a healthy, realistic view of yourself that includes honest assessments of your weaknesses and strengths, and you will learn to respect yourself, faults and all. You will also learn the difference between self-esteem and being self-centered, self-absorbed, or selfish. Finally, this book will show you how to distinguish the outer appearance of confidence from the quiet, steady, inner acceptance and humility of true self-esteem. Integrity is an important trait for children to develop: especially as they grow, learn, and have more opportunities to make choices for themselves. With this encouraging book, support children in knowing right from wrong, making positive decisions, keeping promises, and staying true to themselves. Back matter includes advice for teaching integrity at home, at school, and in childcare. To be able to reach personal and professional goals, self-esteem is critical. For teens, healthy self esteem is even more critical, emotionally and physically. Self-esteem dictates how teens treat and feel about themselves and others, assert themselves, view and act in the world, and take care of their basic needs. Self-esteem is so important that research suggests that low self-esteem can be tied to many mental and physical health issues. The Teen Self-Esteem Workbook is designed to help teens engage in self-reflection, examine their thoughts and feelings that either enhance or detract from healthy self-esteem, and learn effective tools and techniques for building feelings of self-esteem and self-worth. This book combines three powerful psychological tools for the management of aggressive thoughts, feelings, and behaviors: self-assessment, journaling and role-playing, to enhance empathy and allow teens to practice self-esteem building strategies. Offers young readers a teen-focused, breakthrough program for eliminating self-doubt and increasing confidence and self-esteem. Marci Fox and Leslie Sokol, faculty members at the Beck Institute for Cognitive Therapy and Research, adapted this cognitive therapy program for teens after the success of their book for adults, Think Confident, Be Confident. I want you to build me a wall with only perfect stones, the big architect said. All the stones tried to put their best faces forward. They hid their ugly bits. They tried to climb to the top of the pile. But there was one stone that didnt seem to fit...anywhere! He was the Wrong Stone and all the other stones were laughing at him. This 32-page picture book has exquisite, full-colour illustrations throughout. Enjoy the jokes, pranks and celebration of difference in this heart-warming story for kids and bigger kids. This book has an important place in counselling and clinical therapeutic practice where it may just constitute a tipping point - a small but mighty prompt for change and hope. Looks at all the different things that make up the very special person that is You. You are the only you there is. Your amazing body has many parts that you can move and feel and see, and even more parts deep inside where you can't see. As budding young readers learn about numbers and counting, they are also introduced to accepting different body types, developing social skills and character, and learning what it means to find value in one's self and in others.